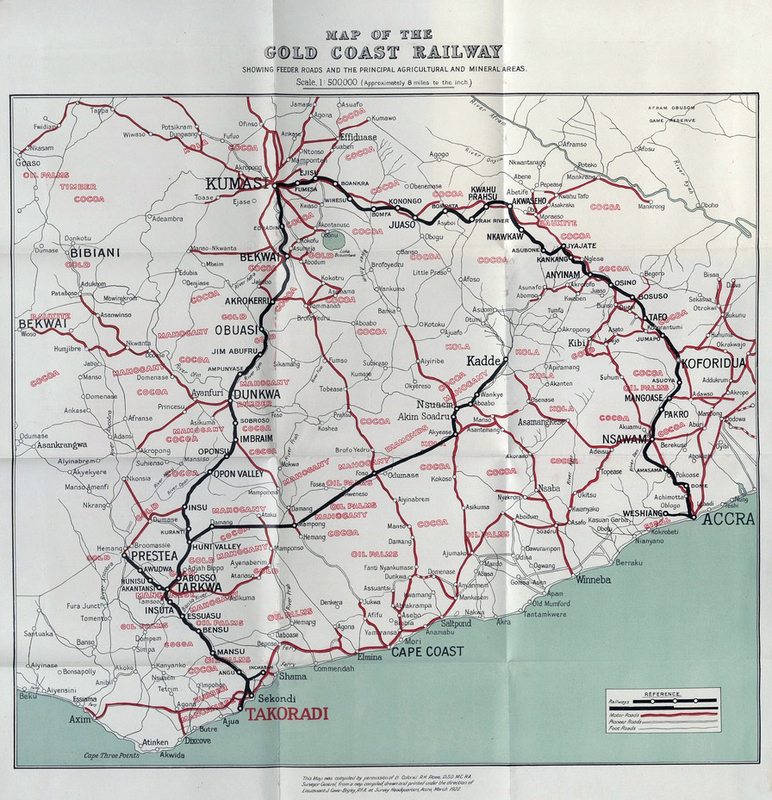 The Gold Coast had long been a major bone of contention between European nations seeking to take advantage of the natural and human resources of West Africa. The Portugese first moved into the area and built forts on the coast to allow them to trade with the local tribes. They discovered that the nearby Ashanti did have access to gold from the interior and were keen to supply their defeated enemies as slaves. This attracted the attention of the English who brought back a ship of gold as far back as 1553. The English were followed by French, Danes, Brandenburgers, Dutch and Swedes. Gold, ivory and slaves would turn the coast into a magnet for traders eager to make their fortune. The most assertive of these nations was to be the Dutch who managed to replace the Portugese formally in 1642 in return for withdrawing their presence from Brazil. The Dutch built a fort at Elimina. The English would build their own fort at Kormatine in 1651. Ten years later they would build a larger one at Cape Castle. The Dutch and English were frequently at war with one another in the Seventeenth Century and the forts on the Gold Coast would play their part in these conflicts. In 1664 and 1665 the Dutch were able to destroy all but the largest fort at Cape Coast. The Treaty of Breda confirmed Dutch ascendency but the profits from the slave trade would attract the English back. 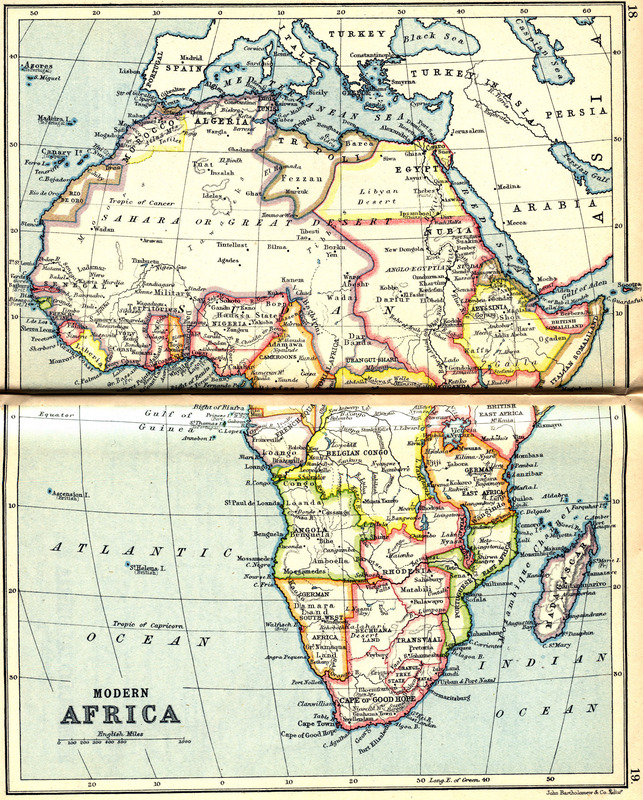 In 1672 the Royal African Company was created with rights to monopoly access to English markets at least. The RAC built forts at Dixcove, Sekondi, Accra, Whydah and other places, besides upgrading Cape Coast Castle. The African Company of Merchants would later take over the monopoly and would further streamline the efficiency of the slave trade. At its height, 10,000 slaves a year were being exported from the area. Public opinion back in Britain had turned violently against the inhumanity of the slave trade and it was abolished in 1807. This crippled the profitability of the African Company of Merchants. By 1821, the company had been dissolved and the British government was forced to take over the possession of the forts. Thanks largely to profits from the slave trade, the Ashanti had risen to be a major force in the area. The Europeans had confined their activities to the coast but from the 1820s the British had begun extending their influence into the interior. They were concerned that the Ashanti were still supplying slaves to the other European nations which had not yet outlawed the slave trade. This led to serious clashes which ultimately became all out war from 1824 to 1831. The British seriously underestimated the power of the Ashanti and the extent of their weaponry thanks to years of investment from the slave trade. A British expedition was defeated at Nsamankow in 1824. The British were wiped out and their governor was killed. The Ashanti were to inflict another defeat on the British at Efutu. Indeed it was only when they attempted to take the formidable Cape Coast Castle that they finally foundered. The British would build up a new force and join forces with local tribes hostile to the power of the Ashanti to try and reduce the power of the Ashanti. 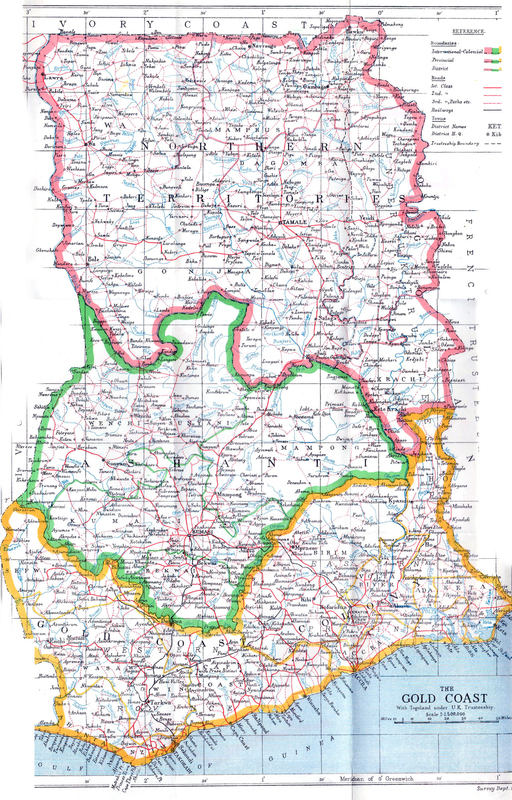 Two years later they were able to finally defeat the Ashanti in open battle at Dodowa. 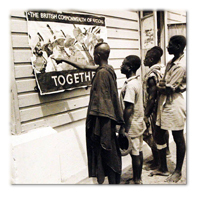 However, even then the Ashanti would not sign any agreements with the British. The British government was becoming concerned at the cost of the war for such little payback. They wondered if it might not be easier to withdraw from the colony altogether. In 1828 they gave orders for all British officials and garrisons to withdraw to Sierra Leone. They then paid the London Committee of merchants 4000 pounds a year to maintain the forts on their behalf. This did actually make it easier for the Ashanti to come to an independent agreement with the London Committee in 1831. However, anti-slavery campaigners in Britain considered that the deal allowed the Ashanti to continue their slave trade unhindered. The British government was just relieved that it had found a way out of an expensive war with a determined and skilled foe. In 1844, the Colonial Office resumed its control of the forts from the London Committee. Some of the interior tribes were still requesting British protection - always mindful of the power of the Ashanti. The British agreed nominal rule over inland areas specifically to exercise the right of trying criminals, repressing human sacrifice and other such practices. This was a de facto extension of British control even if there was little evidence on the ground. The British were still not alone in their control of forts in the area; the Danes and Dutch still operated their own. In fact, the competition between these three powers exacerbated the economic problems of all three countries' settlements and caused endless trouble with the surrounding native tribes. Anxious to cut their losses, the Danish offered to sell their forts to the British government. Behind this offer was the threat that if the British did not buy them then the Danish would offer them to other powers - either the French or Dutch. The British reluctantly offered 10,000 pounds which was excepted by the Danes in 1850. The Dutch would not sell their rights and forts until 1872. Again, the British were initially reluctant to take over yet more control in the area, but felt morally obliged to support their Fanti allies on the coast who would be crushed by any British withdrawal. In fact, the Dutch withdrawal would actually preempt another war with the Ashanti anyway. 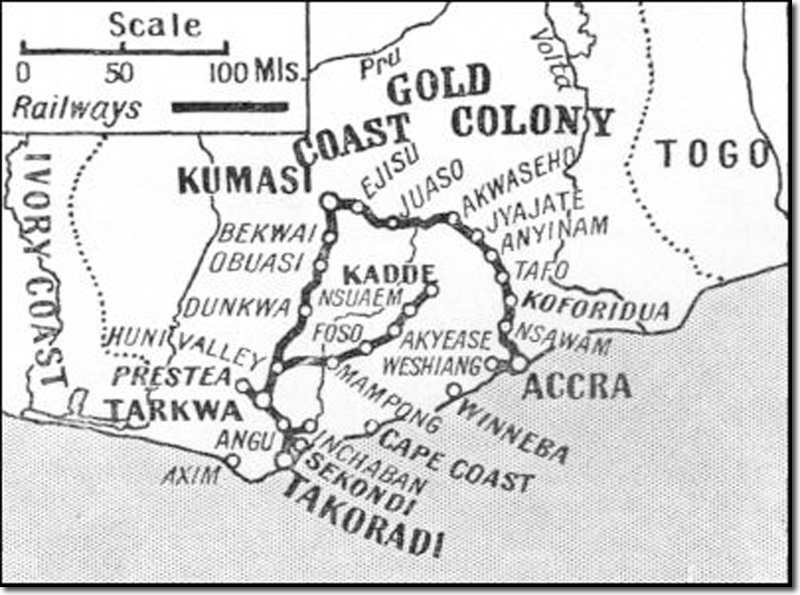 The Ashanti were concerned that they no longer had access to any ports except through the British ones. The port of Elmina had to hold off a furious assault by the Ashanti. The Royal Navy had to land marines in the colony whilst a full fledged military expedition was planned under General Wolseley. By the time of this war, the British had significantly expanded their technological advantages over the Ashanti. There was not going to be the embarrassing repeats of previous defeats. Superior weaponry and tactics would allow the British to enter the Ashanti capital at Kumasi for the first time. 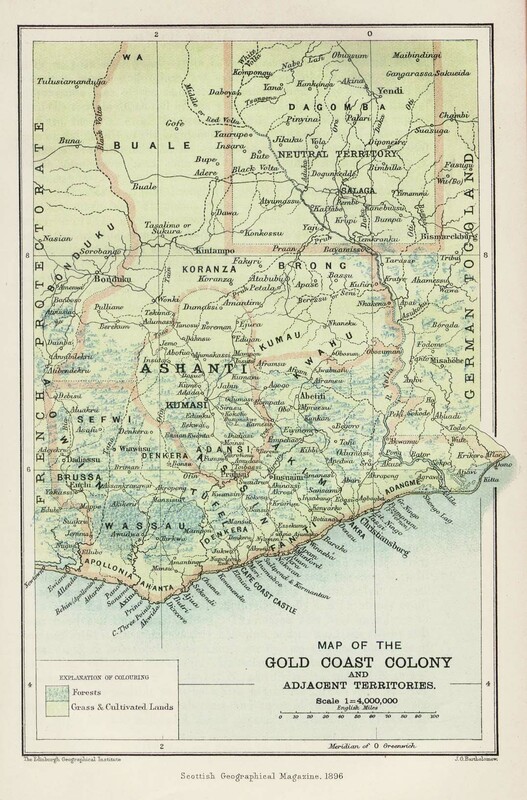 On March 14, 1874, the two sides signed the Treaty of Fomena, which required the Ashanti to pay an indemnity of 50,000 ounces of gold, to renounce claims to Elmina and to all payments from the British for the use of forts, and to terminate their alliances with several other states, including Denkyera and Akyem. Additionally, they agreed to withdraw their troops from the coast, to keep the trade routes open, and to halt the practice of human sacrifice. The British had achieved their objectives and withdrew to the safety of the coast. However, they did not realise that they had unwittingly destabilised the entire region. Nearby tribes were no longer intimidated by the mighty Ashanti and countless wars would rage for years later. French and German encroachments in neighbouring areas also helped antagonise the situation. There would be more Ashanti Wars in the 1890s culminating in the Ashanti uprising in 1900 which finally allowed the British to annex the Ashanti Empire as the Ashanti protectorate from 1902. For a time the Gold Coast formed officially a past of the West African Settlements and was virtually a dependency of Sierra Leone. 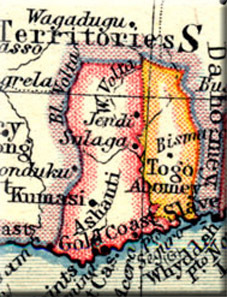 In 1874 the settlements on the Gold Coast and Lagos were created as a separate crown colony, this arrangement lasted until 1886 when Lagos was itself separated from the Gold Coast administration. 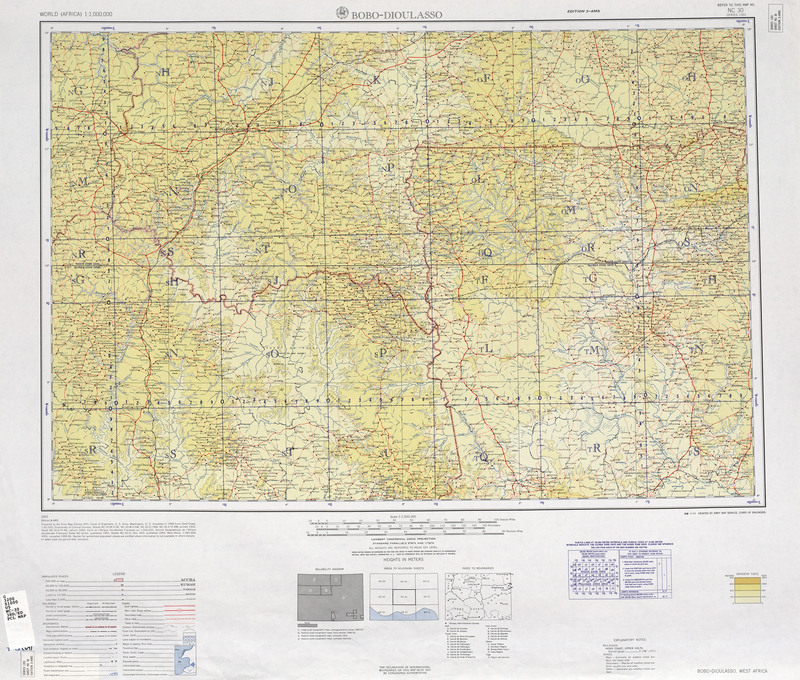 Part of German Togoland was included in 1919. 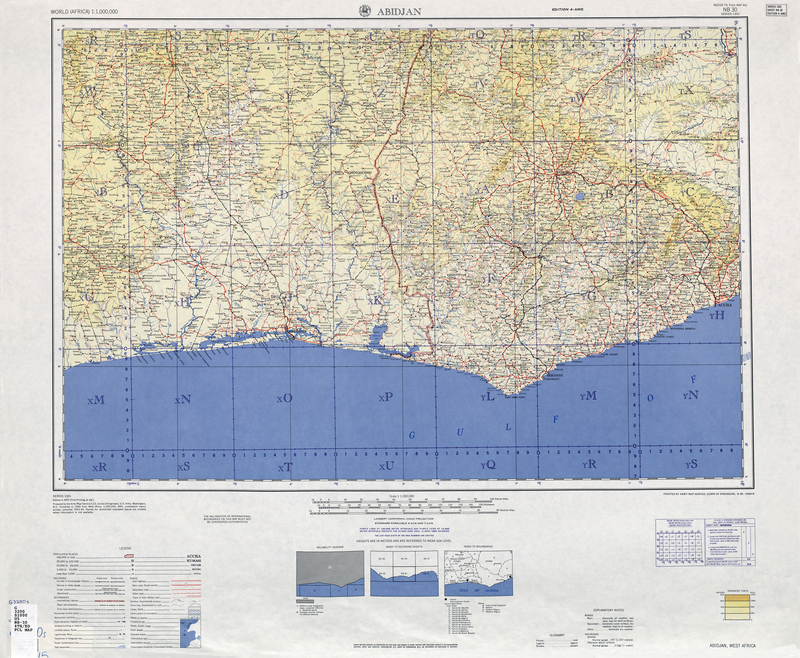 In 1946, British Togoland, the Ashanti protectorate, and the Fante protectorate were merged with the Gold Coast to create one colony. It became independent as Ghana in 1957. The BBC's Winds of Change talks about Kwame Nkrumah and the Legacy of the Empire.